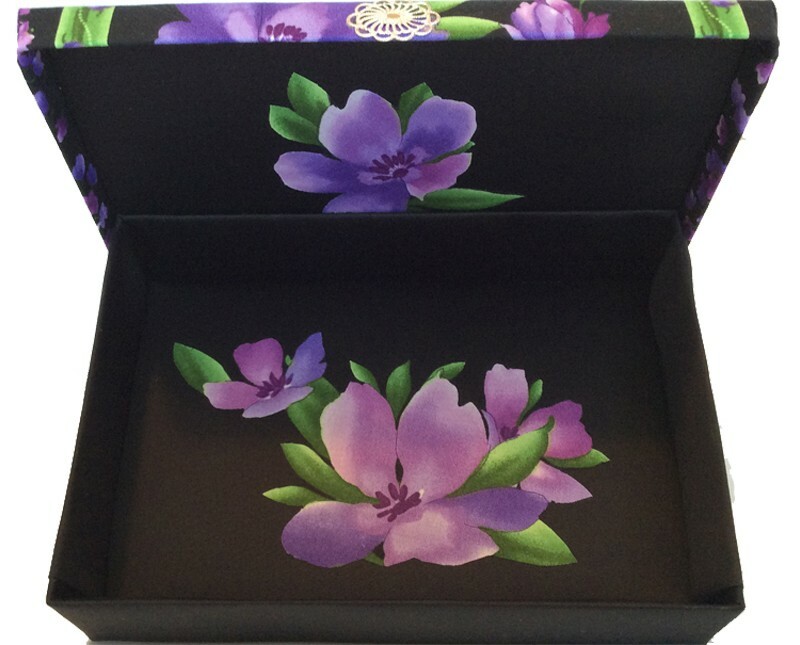 This gift box has the appearance of a painting, the flowers are so rich with color. Lavender flowers of different hues and green leaves against a black background make this an exceptionally beautiful box. An intricate silver filigree sets off the lip of the lid. Floral decals against a black background highlight the interior cover and bottom. 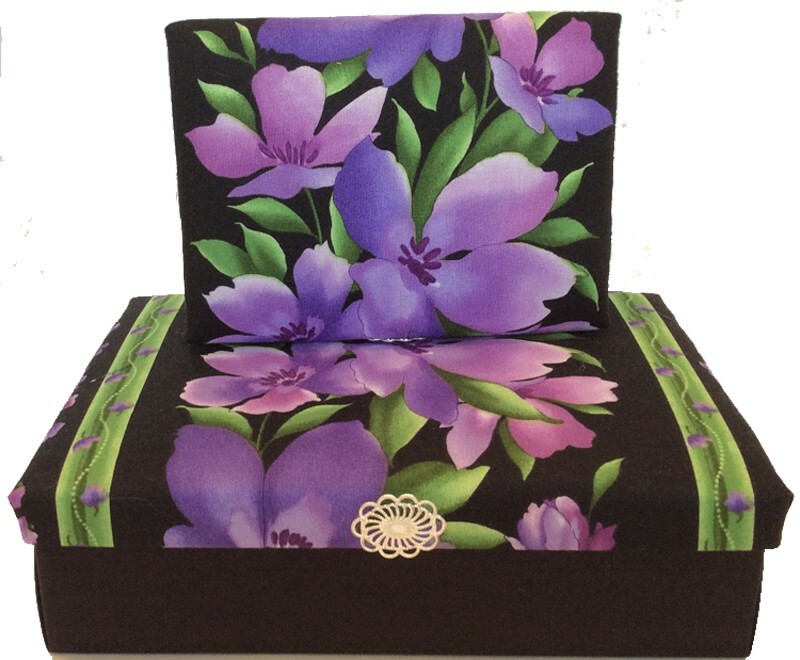 The Striped Purple Floral is lovely as an individual box or as a set. Truly a beautiful and striking box, providing a unique and unforgettable gift 'wrapping.' Certain to be a treasured keepsake box or jewelry box for years to come.